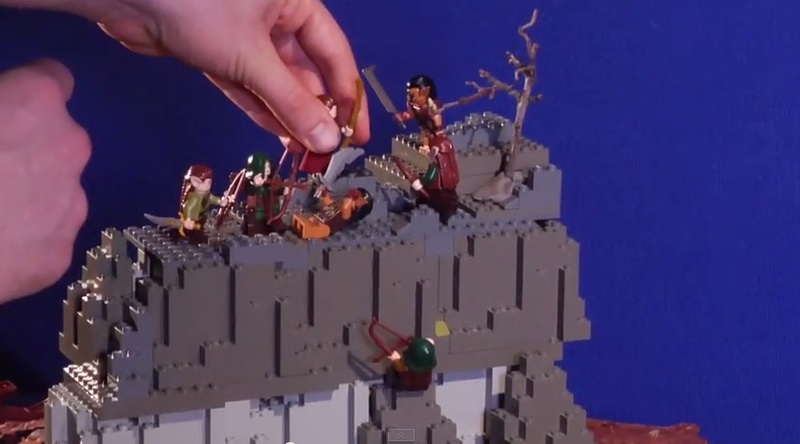 The epic, totally necessary Hobbit film trilogy has been recreated as a 72 second LEGO stop motion video. Update: We reached out to Brotherhood Workshop to see if we could glean some more details about the process of making this video. They shared the following as well as some stills from an upcoming behind the scenes video. "Most of the shots were pretty straightforward, taking about an hour to setup and another hour or two to shoot. Some were a bit more difficult, like the shot where the Eagles save the dwarves from the burning trees. 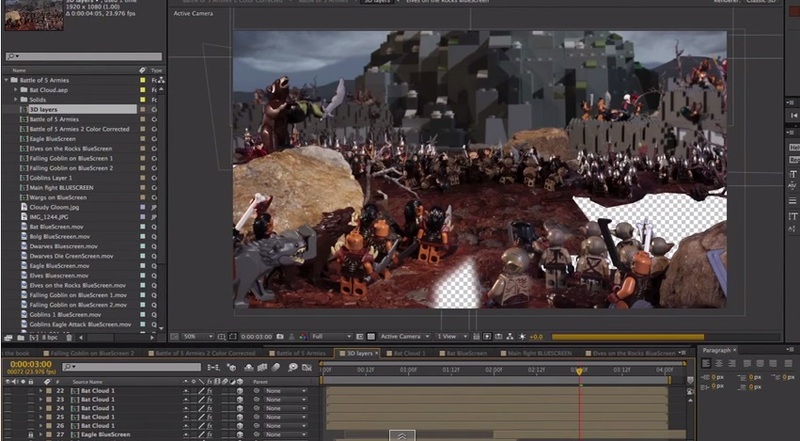 This shot involved rotoscoping in order to composite the fire, as well as featuring almost 30 characters. The Battle of Five Armies shot was hands down the most difficult, but I knew for the climax of this video, I needed to really impress." Original Story: There are some who might consider Peter Jackson's Hobbit trilogy to be a bit on the excessive side. After all, the original book is a mere fraction of the size of The Lord of the Rings, a series that pretty much demanded multiple movies if it was going be adapted with any sort of faithfulness. With The Hobbit, though, you probably could have covered the whole book in a single tightly scripted movie. Perhaps driving that home is a recently released video from Brotherhood Workshop. 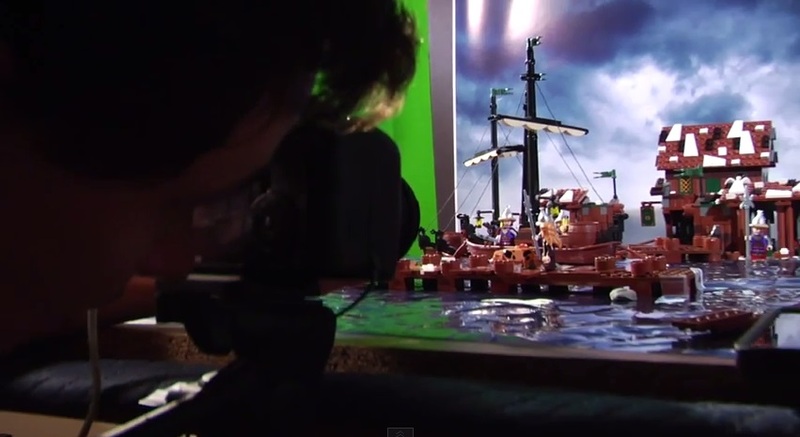 The fine folks behind the "Eagles Can't Solve Everything" video released back in August, the crew's latest LEGO video hones in on The Hobbit and just how easy it is to tell its tale in a short period of time. Lasting only 72 seconds in length (a.k.a. 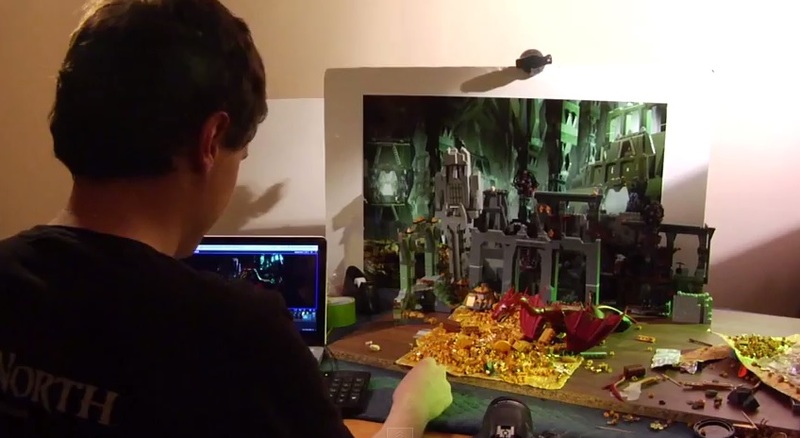 "33,000ish seconds less than Peter Jackson's version"), the video runs through the events of the book/film using stop-motion LEGO bricks and no small amount of humor. Thorin's arrival at Lake-town, for instance, personally had me snorting (quite obnoxiously) with laughter. What I find most impressive about this video though (besides the awesome stop-motion animation), is just how good a job it actually does telling the story of The Hobbit. Granted, it's really stripped down and I'd definitely agree that someone who's read the book or seen the movies is going to get a lot more out of it than someone who hasn't. Even so, I think that someone walking into the series fresh would still be able to get the gist of things. What do you think? Does this do justice to Jackson's Hobbit?